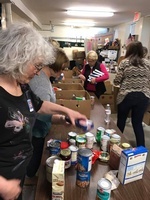 The primary needs of mankind are food and shelter; the Branford Food Pantry (BFP) addresses that first need—food. The mission of the BFP is to provide groceries for families in need. We will find a way to help you.